These are the underpinning elements in The Bridge™ — the absence of these can cause your bridge to collapse, or prevent you from forming a bridge at all. 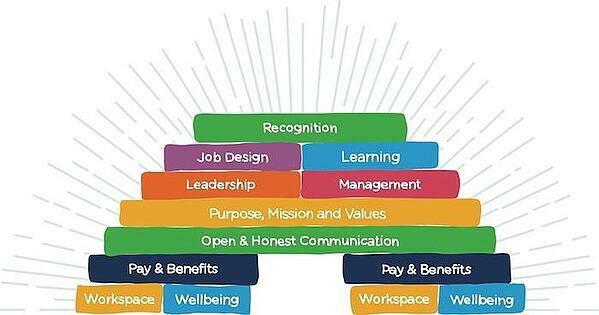 Pay and employee benefits are a necessity in any job, and are important supporting elements of The Bridge™. Likewise, the care you put into your workplace and your employees’ wellbeing can drive productivity levels, define some of your company culture and bring your company values to life. 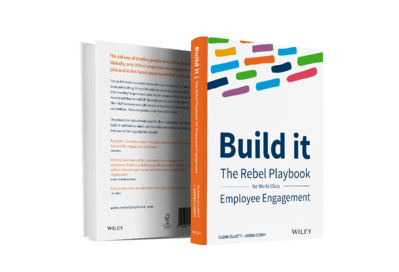 To read more about all 10 elements of our employee engagement model, The Engagement Bridge™, and hear from companies on how they've used the power of their people to increase profitability and create top-notch company culture, pre-order Build It, The Rebel Playbook for World Class Employee Engagement, hitting shelves in February 2018.